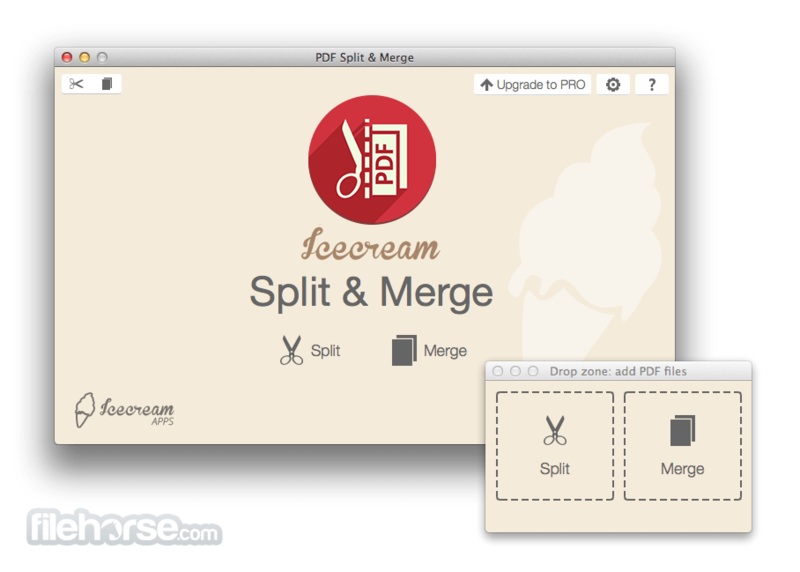 IceCream PDF Split & Merge for Mac is a versatile application for splitting and merging PDF files in a quick and easy way. The program offers several convenient split modes that allow users to successfully complete different types of splitting tasks. Also, Icecream PDF Split & Merge doesn't set any limitations for imports in the Merge mode, which means user can merge as many files as necessary within a single session. There are 4 types of splitting modes: "Into single-paged files", "By groups of pages", "Delete certain pages", and "By page ranges". User can choose one that meets the requirements, use the Preview button to make sure everything looks fine, and even merge the output files back together if the document got split in a wrong way. The program features an in-built PDF viewer that allows the users to preview files prior to applying any changes. One can choose between 3 saving options (subfolder, original folder and any folder of choice) in the Split mode; merged files are saved in the same folder. 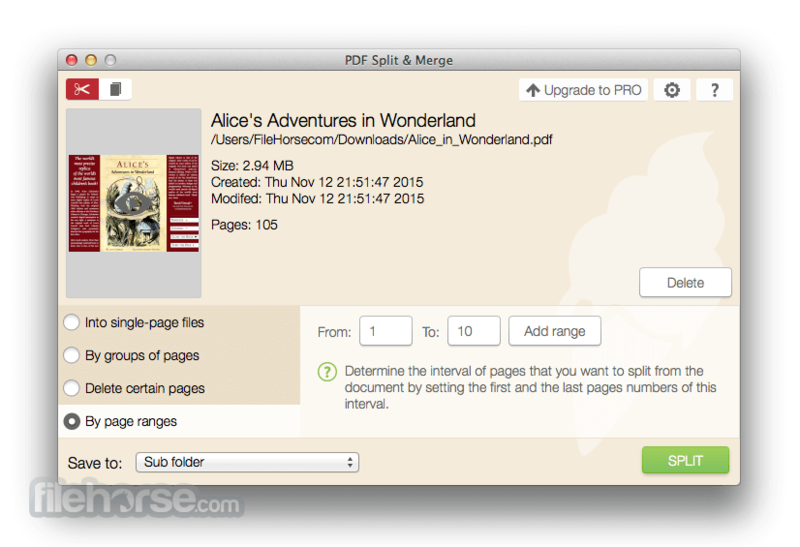 Edit file sequence in the queue while working in the "Merge PDF" mode. 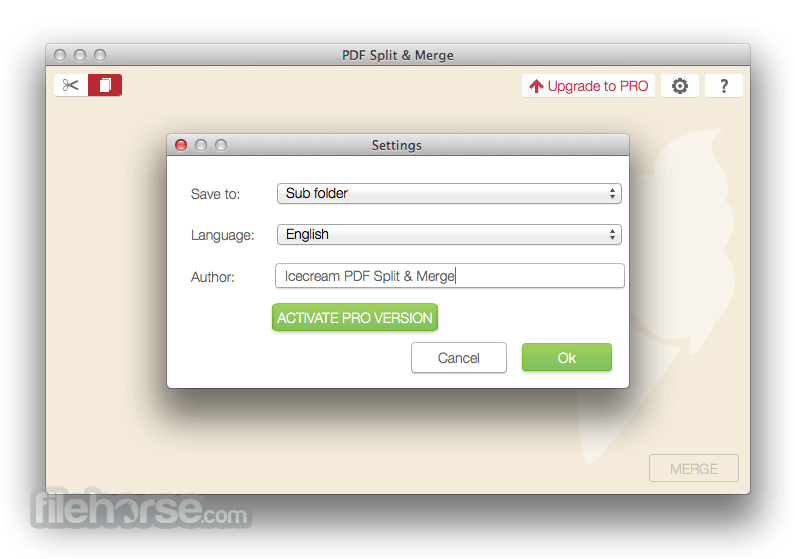 Split or merge PDF with no limitations on the number of pages or PDF documents. 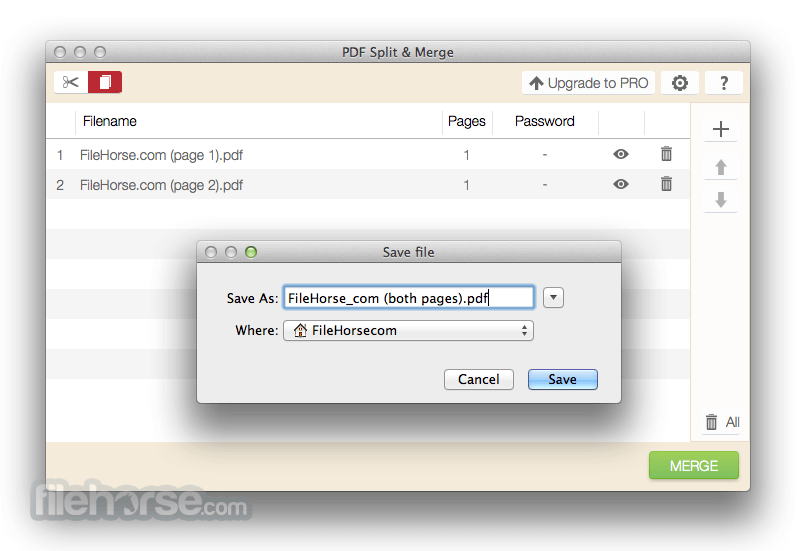 Use the built-in PDF reader to view PDF files. No need to download additional software for Mac. 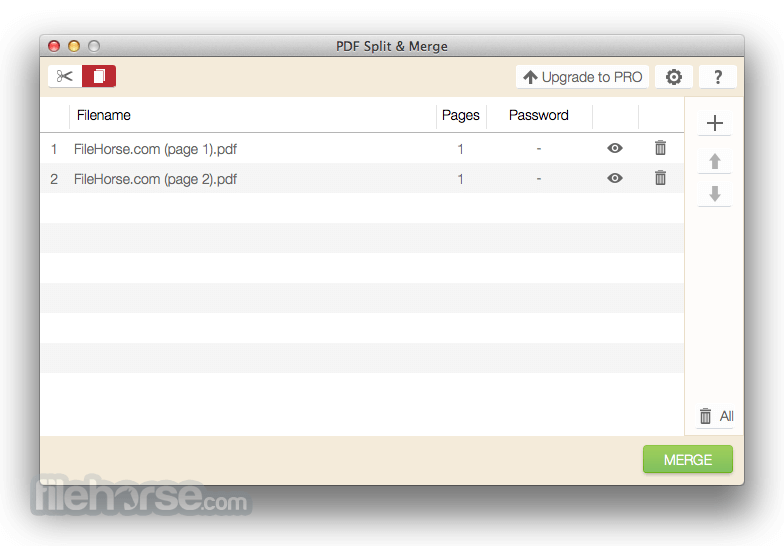 Unlike online services, PDF Split & Merge ensures the security of private files. Split and merge password-protected files (valid password is required*), set password for merged files. Drag-and-drop support for adding and arranging files conveniently.